Here is an interview with the people behind the Fibaro products. If there is anything else you’ve wanted to know, feel free to comment :-). Enjoy! Who are the people behind the Fibaro products and the Fibar Group? Can you give us a small introduction? 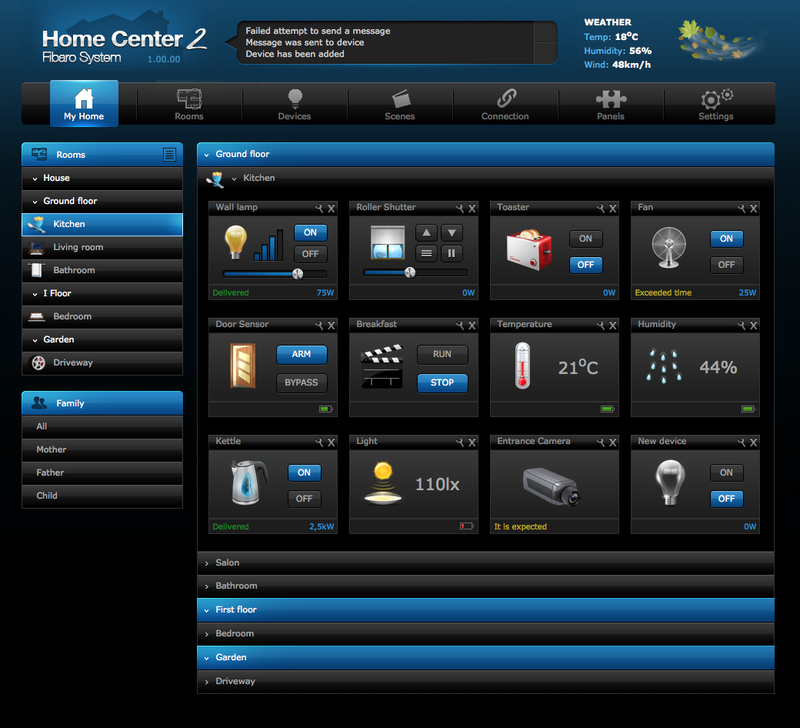 How did they end up in home automation and in the z-wave world in general? Behind the idea of Fibaro and its whole engineering stands Maciej Fiedler – a 35 year old passionate of ICT with over 18 years experience in this branch. He is the head of research and development department supported by a group of best qualified engineers. The history of Fibaro is quite trivial… it’s driven by necessity – the idea of developing the Fibaro System was inspired by a futile search for an intelligent house management system undertaken by already mentioned Maciej Fiedler. None of the offers available on the market met all his needs and requirements. Thus, the idea was born to develop our own system, which would allow control over and synergic operation of all the electrical devices in a facility and more…. Can you tell us a little about the Fibaro/Fibar Group background? Has the Fibar Group always been active in the world of Z-Wave? 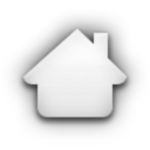 Was there any previous activity in the home automation world? FIBAR GROUP was set up as a typical production company, shortly after main R&D works were completed. R&D works took over 2 years and they were conducted in DELTA Computers company owned by Maciej Fiedler, one of the FIBAR GROUP founders. 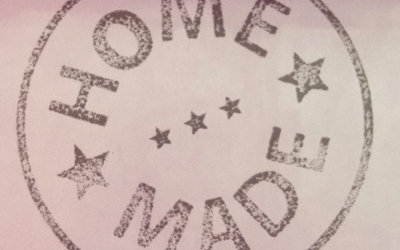 Soon after prototypes were approved, decision regarding commercialization was made. FIBAR GROUP, as a production unit, was launched in November 2010 and its first franchise store was opened in April 2011. Currently, we have over 50 points of sale in Poland. Moreover we export to over 21 countries, mainly in Europe but we are also about to open showroom in Auckland, Hong Kong and Dubai. Are the Fibaro products Z-Wave only? Yes FIBARO, for the moment, is Z-Wave only. However, we are not closed for other solutions. Can you explain the choice for Z-Wave? We decided to implement Z-Wave to our products due to its potential. 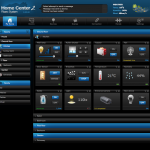 Z-wave has become widely known and applied in home automation worldwide. The alliance provides full technical support and is open for new solutions. The last quarter of 2011, more or less out-of-the-blue, Fibar released its Fibaro Z-Wave micro modules. Did it take a long time to come up with their design? Well, it might seem that we came out-of-the-blue, but we have spend over 2 years on R&D before commercialization decision appeared. Short after we decided on technology, we have started to built modules. The strategy for building our devices was developed in cooperation with many experts in the fields of electronics, electrical engineering, robotics and automation. While we managed to develop the prototypes of our devices fast and without any failures, their size was a problem. Miniaturization of the actuator modules was the most time-consuming process. All the electronic elements were arranged on multilayer PCB plates with surgical precision. The tiniest deviation immediately resulted in interference and electronic noise, which caused device instability. To separate high voltage from low voltage we had to use additional filters, which took up more space. To ensure maximum safety, we installed an additional single fuse, which takes up little over 0.5 cm² of space. After several months of work we have finally managed to bring our devices to perfection. Each Fibaro module is only 40mm long, 36mm wide and 15mm high. They can be fitted into any wall switch box. Currently, they are the world’s smallest devices of this type. I believe you are the first in EU to release Z-Wave micro modules. Was it your goal to win the race for the first Z-Wave micro modules? All we were thinking during product development was our clients’ needs. The technological solution – micro module – was just an outcome of our research. As I mentioned before we were focused not to bring any modification in our customers’ house and due to that goal we’ve created the micro modules – the only devices that fit in switch boxes. What were/are the challenges when manufacturing modules to use behind traditional switches? Any particular reason why only now the Z-Wave micro modules start showing up. Since Z-Wave is around (and mainstream) already for quite a while? I believe nobody focused on basic clients needs… It is just a – thinking outside the box – approach. Placing modules behind traditional switches gives to customers full functionality without interfering with interior design. Regarding manufacturing, the production of micro modules is equally complicated as traditional devices. How are the Fibaro micro modules different from its competition (eg. (soon) to be released Aeon Labs micro modules)? Well, we have many unique features. Any specific reason for not putting any power metering feature in the Fibaro micro modules? At the beginning our goal was to create micro modules with distinctive feature different from competitors. That’s why, among others, we decided to introduce possibility to assign associations to 2 buttons. Moreover our switch 1x3kW, as the only device, in the world has an additional feature: virtual switch. When you install the 1x3kW it appears as 3 devices (1 root, 2 switch, 3 virtual switch). 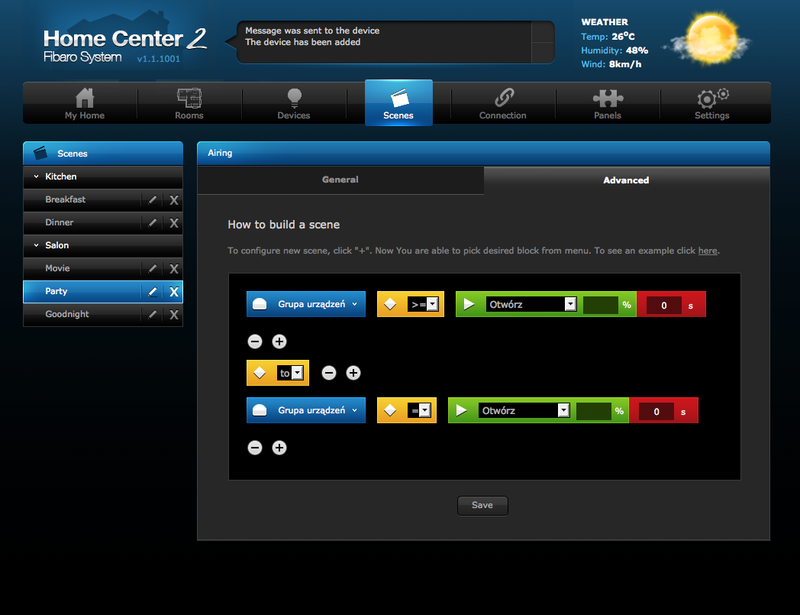 You can use this virtual switch with your second button in a wall switch to control any other zwave device or run the scene. For example if you connect it to wall switch responsible for light control, the second button while connected to S2 can control e.g. blinds. It’s extremely good functionality for our customers. But of course, such a common functionality as power metering feature will also be applied in our devices. We plan to introduce this in coming months. The first youtube video of Fibaro showed up around April 2011. Have the modules been available locally in Poland since then? Exactly, we have started sales in Poland in April 2011 while the first franchise store was opened. Any plans for Fibaro devices outside EU? In 2012 we want to launch sales in USA, Australia and New Zealand. These are very interesting markets with huge potential. 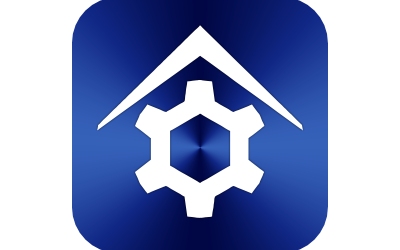 In contrast to Poland, customers in those regions are familiar with smart home idea and they are looking for the best quality solutions at affordable price. Fibaro is very competitive regarding those demands. What are the major challenges when building Z-Wave devices for different regions? The major challenges when building devices lies mainly in software. We need to implement new chips and rebuilt our soft. No other changes in architecture are necessary. 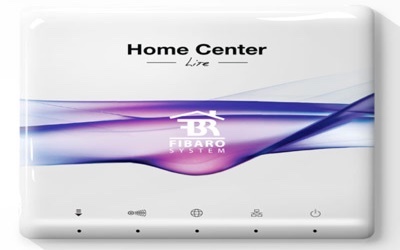 About the Fibaro Home Center, the Fibaro Z-Wave gateway. What are the major differences with its competitors, eg. Vera… ? Does it run on similar hardware, and will it be priced accordingly? Is it already available in Poland currently? Fibar Home Center 2 is already on the market. It’s premier was on 6th of December in our home city Poznan. It illuminated the lights on the City’s Christmas tree located in the heart of Poznan-old market square. It was part of city’s strategic campaign “Poznan city of know-how”. Officially you can purchase HC2 in Poland since 18th of December. Additionally the HC2 casing is 100% aluminum. The design of both the product and the package is very modern and elegant. Regarding Fibaro multimedia, your website does mention some nifty things. Will it have an IR blaster included? Any (technical) details you can reveal already? Anything else we can expect to see from the Fibar Group in 2012 (and beyond)? Our website reveals also that we work on FIBARO SHOPPING and SERVICES. Application “Services” will give you access to a variety of everyday services such as restaurants, movie theaters, theaters, taxis or plumbers. 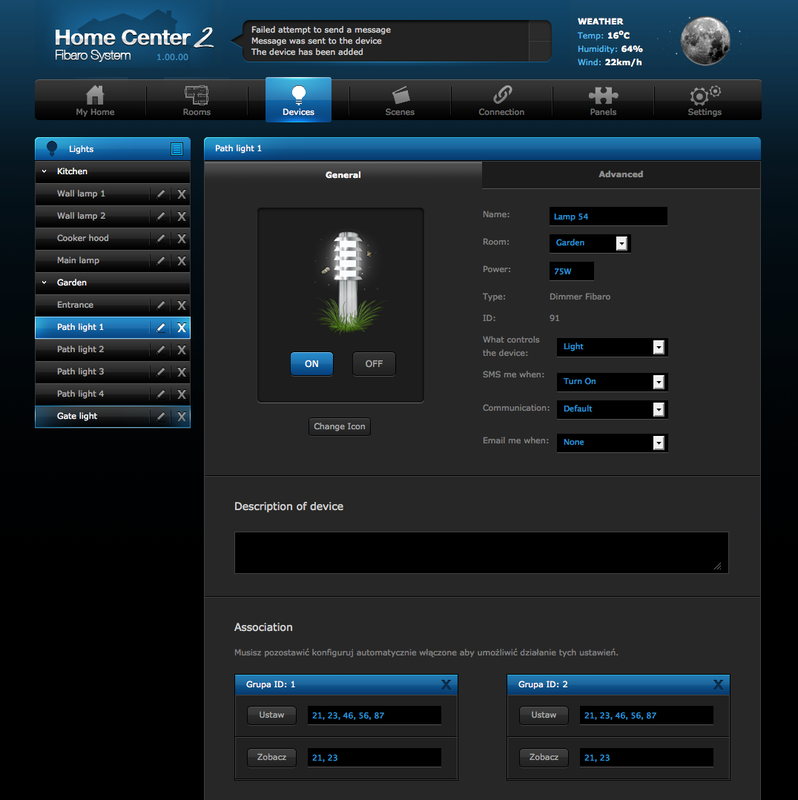 With Fibaro you can access a large database of service providers, which allows you to immediately respond to any failure in the house. Application “Shopping” will give you more time to do whatever you want. Instead of standing in lines and browsing through shelves, you can enter internet stores and do your shopping right away. Head over to the Fibaro website to snack on more screens and pictures. Find out more about Fibaro's latest family member.